“Springsteen On Broadway” will be a roughly eight-week run, beginning Tuesday, October 3 and ending November 26, with Bruce doing five shows a week, all at the Walter Kerr theater. 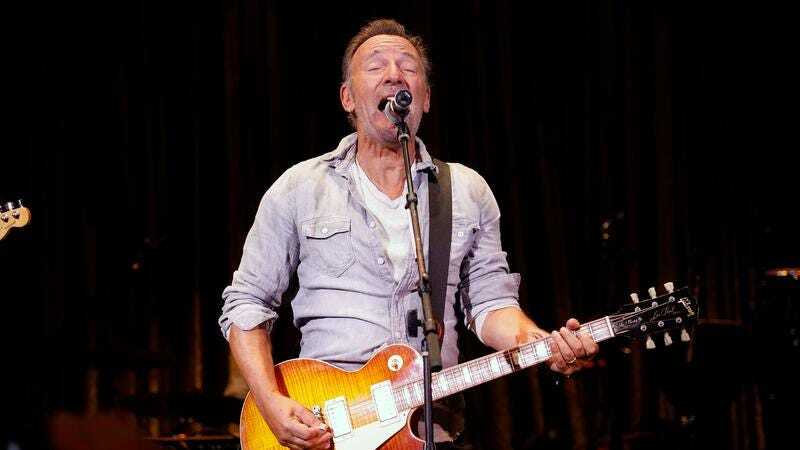 “I wanted to do some shows that were as personal and as intimate as possible,” Springsteen says in the press release. “I chose Broadway for this project because it has the beautiful old theaters which seemed like the right setting for what I have in mind. In fact, with one or two exceptions, the 960 seats of the Walter Kerr Theatre is probably the smallest venue I’ve played in the last 40 years. My show is just me, the guitar, the piano and the words and music. Some of the show is spoken, some of it is sung. It loosely follows the arc of my life and my work. All of it together is in pursuit of my constant goal to provide an entertaining evening and to communicate something of value,” which is not exactly the most inspiring string of words he’s ever put together, but probably states his aim in as few syllables as possible, which is already unusual.